What can Greater Sudbury do to help people eat healthier, fresher, and more local? What are some challenges for farmers, food banks, restaurants, dietitians, and foodies? Why do we need a Food Strategy? Over the past few years, our community has seen a tremendous growth in the interest and investment in our food system. Retailers and restaurants showcase local food options, large institutions incorporate local food in their procurement policies and sign bylaws are being evaluated to help facilitate efforts of local food producers. Furthermore, there are many more opportunities to learn food skills through several organizations and our youth are being exposed to community gardens, compost programs and/or free healthy food options through the school system. We hope to develop a Greater Sudbury Food Strategy and to continue to engage with the community to work towards an economically viable and ecologically sustainable food system that provides residents with accessible, affordable, nutritious and culturally acceptable food. What is our Regional Food System? As defined by the Greater Sudbury Food Policy Council, our regional food system is our geographic area including and beyond the City of Greater Sudbury. 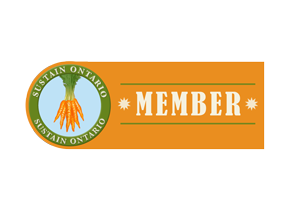 It encompasses nearby agricultural lands and communities from which the citizens of Greater Sudbury derive a significant portion of their food, now or potentially in the future.